Saint Martin (Jerriais: St Martin) is one of the twelve parishes of Jersey in the Channel Islands. Historically it was called "Saint Martin le Vieux" to distinguish it from the present day parish of Grouville (historically "Saint Martin de Grouville"). 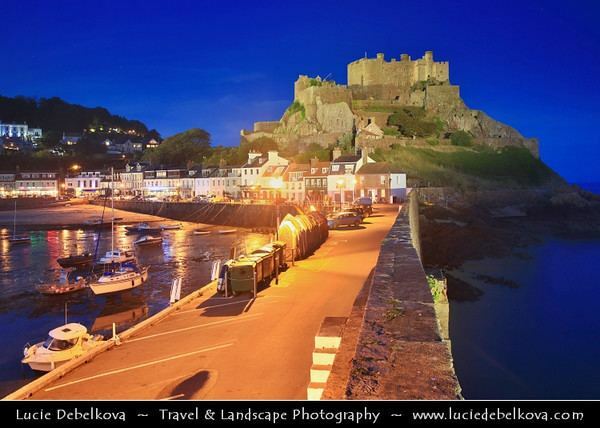 The ancient castle of Mont Orgueil dominates the small harbour and village of Gorey. The castle served as the islands prison until a prison was constructed in St. Helier in the 17th century. Among agitators imprisoned there by the British government were William Prynne and John Lilburne. Until the construction of Elizabeth Castle off St. Helier at the beginning of the 17th century, Mont Orgueil was generally the residence of the Governor of Jersey. St. Martin is one of the remaining strongholds of Jerriais with a distinctive accent. The area around Faldouet formerly possessed a dialect of its own, known as Faldouais, of which the distinctive feature was the realisation of intervocalic /r/ as /z/. Although the Faldouais dialect is extinct, it has left notable amounts of writings in Jerriais literature. The artist Edmund Blampied was born at Ville Bree on 30 March 1886.